You want it – you get it. Recurring tasks has always been one of the most wanted features in our feedback forum. And because your wish is our command – here it is. To create a recurring task, first you need to create a normal task like before. 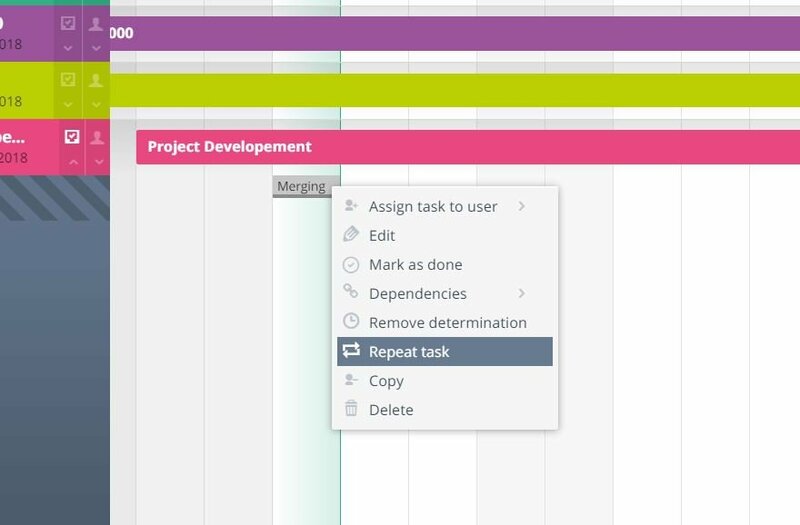 Right clicking the task in the gantt chart will give you the context menu where you can now find the “Repeat task” option. 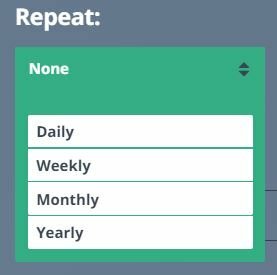 Clicking this will open the “Repeat task” menu. Here you can select the repetition rhythm and the last date until it should be repeated. The default date is always the last day of the project. You can decide between a daily, weekly, monthly or yearly rhythm. 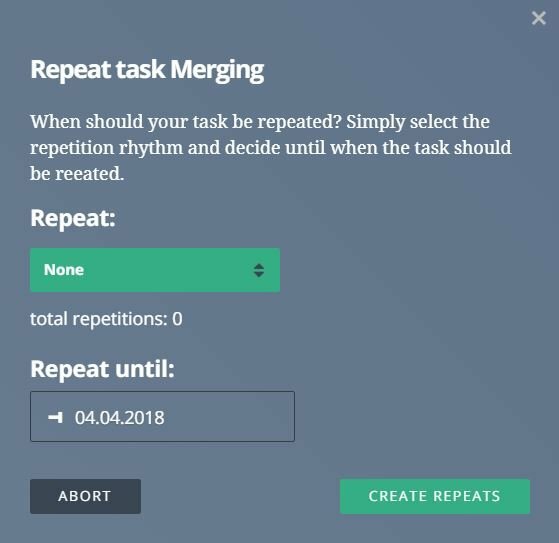 After selecting “create repeats” duplicates of your task will be created in the selected rhythm starting from the original task. When selecting a task to edit it you will be asked if you want to edit one or all of the duplicate tasks at the same time. This also goes for shifting the project on the gantt chart. We included that for deleting the tasks too, of course. Otherwise a simple mistake of a daily repetition would lead to hours of having to delete single tasks. And we are here to make your life easier – not harder.